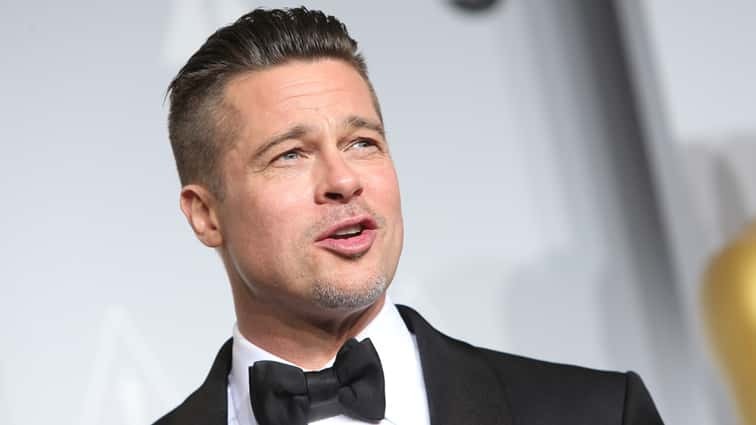 Brad Pitt made a rare public appearance at a ROCK4EB! event over the weekend at a private home in Malibu California. The event hosted by Alex and Ani brought together stars such as Heidi Klum, Courteney Cox, Kaley Cuoco, Sting among others. Watch Brad Pitt Rock Out With Sting At Rare Post-Split Appearance For Celeb Charity Event! Editorial credit: Joe Seer / Shutterstock, Inc.